The squirrels are planning big party, making food, music and mischief in the forest. 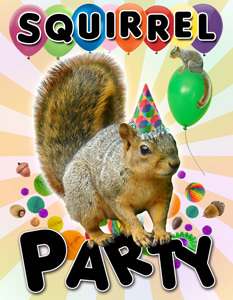 This enhanced children's eBook is full of fun squirrel animated gifs. It has a read aloud feature in both the English and German Versions. Full enhanced version is available from iTunes. An edition with pictures and text only (no sounds or movement) is available from Amazon.